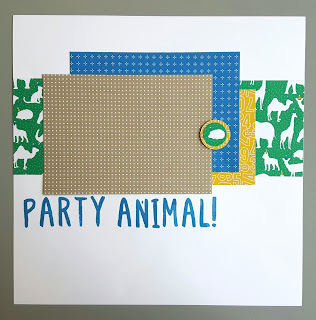 From Where I Stamp: April Crop - Party Animal! April Crop - Party Animal! 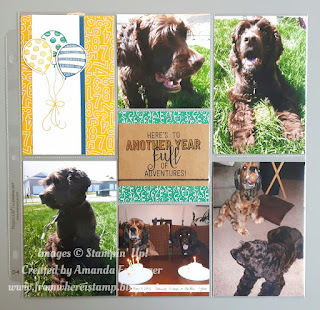 Do you have trouble with portrait pictures in your scrapbook pages? I do! I find it hard to mix them into my Project Life scrapbooks. But a little planning before printing your pictures can help make it easier. 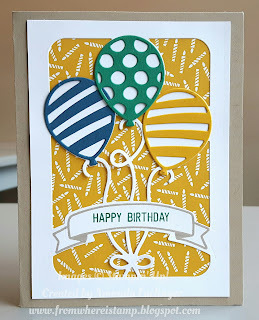 This page uses Design 4 from Variety Pack 1. 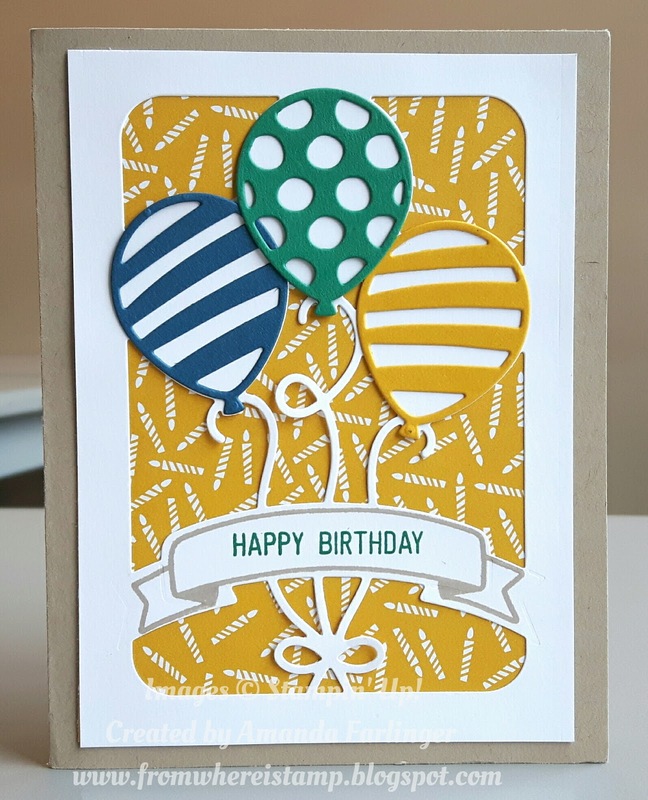 These Balloon dies are great for the inside of a card as a pop-up feature but they work well on card fronts as well! 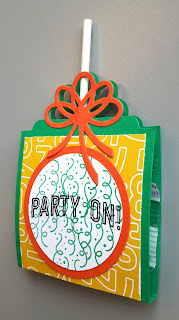 The Balloon Pop-Up Thinlits Dies have these cool balloon cut outs. It's best to adhere them using the Fine-tip glue. The above 2 samples were designed by Lisa Henderson. She used a piece of my fav design found in the Party Animal Designer Series Paper - the Emerald Green with animals wearing party hats! The 3D item has a sucker in it! You can join us on May 6th in support of Relay for Life - sign up here by visiting Crop Kingston's Facebook page - we'd love to see you there!